Burgerman and Petawrap - same day same time! One hungry evening, my friend Kums and me were getting back after some work and we were debating between a burger and a wrap (you guessed who wanted the burger)! With both Burgerman and Petawrap being located outside the Pantaloons on Nelson Manikam Road , which we spotted, our debate was ended prematurely! So I ordered a chicken burger, while he helped himself to a kebab wrap! I don't know if Burgerman has improved on a routine basis or if that day was great, but I must say that the burger was awesome! The bread to be exact, was brilliant, fresh and tasted great with the patty which was to my liking! 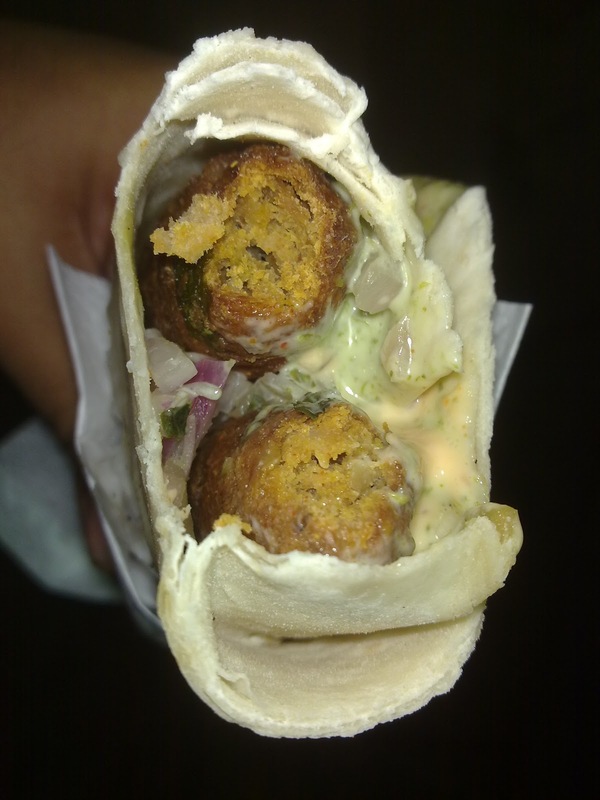 But Kums was glued onto his wrap, though he agreed that the bread was fresh (and in his opinion, better than the breaking buns and McD), he enjoyed his wrap more and he went ahead and got himself a vada pav wrap. For me though, the burger won hands down! Reason - the patty had flavor, where as in the wraps, the kebab and the vada were not as flavorful, the flavor came from the sauces!!!! But both are very nice places to grab a quick bite. 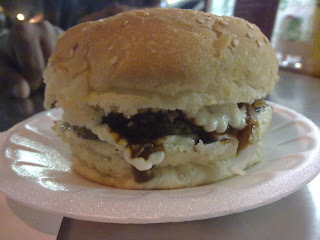 Burgerman and Petawrap are located all over Chennai, we happened to visit the stall on Nelsom Manicam Road. Chennai Foody: Burgerman and Petawrap - same day same time!